Methamphetamine is a schedule II drug, which flags this drug as highly addictive with little or no medical use value. Methamphetamine/Crystal meth gained huge popularity in the early 2000’s and has wreaked enough havoc that now, pharmacies carrying over the counter drugs which contain ephedrine, phenylpropanolamine, or pseudoephedrine, (ingredients used to make crystal meth) are required to keep them under lock and key and take down personal information from those requesting to buy them. Chronic use of crystal meth can cause addiction. Long term or chronic use of this drug leads to permanent behavioral changes that will need to be kept in check for the remainder of your life. Chronic users display violent behavior, anxiety, confusion, and psychotic symptoms that include delusions and severe paranoia. According to the National Institute on Drug Abuse, among the approaches for treating addiction to methamphetamines, behavioral therapy plans and contingency management interventions seem to stand out as the front of the line for successful recovery. For example, a 16 week comprehensive behavioral treatment approach, referred to by the NIDA as the Matrix Model, uses a combination of techniques that branch out to cover several areas, creating a canopy of therapy that can help shield the addict from further use. Another front line treatment approach for crystal meth addicts is contingency management interventions. These approaches actually use a model that retrains the brain with positive reinforcement. They use MIEDAR- Motivational Incentives for Enhancing Drug Abuse Recovery. In this type of therapy, the addict is rewarded with tangible incentives for maintaining abstinence and actively/willingly participating in treatment. This set up seems to be goal oriented and has proven to be effective in methamphetamine and cocaine addiction cases. The success of these programs is probably due most to the fact that these programs take someone whose brain has been rewarding itself for taking the drug (with the release of the dopamine) and these programs reteach the brain to recognize rewards for not using. Treatments that include behavioral therapy and incorporate key support factors, such as family involvement and education will always be more successful than those that do not. 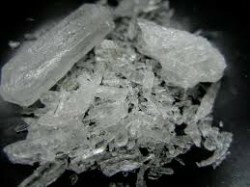 It makes sense that if you are having trouble managing your life due to an addiction to methamphetamine, that being trained in several different areas to handle hazardous/risky situations and also having the support behind you to make those good decisions, is the best option for successful recovery. For those that are suffering from addiction to crystal meth, a real hope can be found with motivation and perseverance toward a “clean” and happy future. Short and Long Term Effects of Meth - While the short-term effects of meth can be painful, the long-term effects can be life-threatening.